The view from the apartment was amazing and the location was perfect. The supermarkt, boulevard, shops and restaurants were close by, about 10 min walk. Very friendly and helpful hostess. She gave a lot of useful information. Everything in the apartment was very clean and the towels were switched every three days. Great apartment and lovely pool. Very friendly host. Great villa! Really clean, bright and spacious. The pool space is fantastic. Brigitte was very helpful and welcoming. 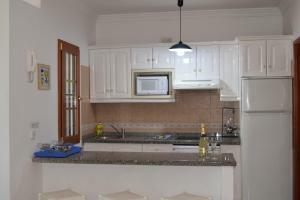 Excellent value for money and a short walk to supermarket / beach / nearby bars and restaurants. We’d definitely come back! Everything about the place was 10/10 highly recommend and was 5 min walk to the beach/nightlife. Brigitte the host was so friendly and helpful and really made us feel at home upon arrival. 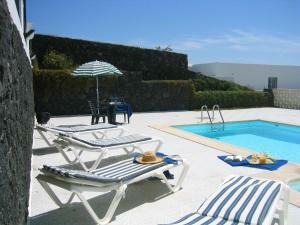 Villa was fab, great to have our own private pool so no rush to put towels on sun loungers in the morning. There was a Lidl supermarket about 5 mins away, meaning we could have breakfast and lunch in the villa. Overall, we really enjoyed our stay at Villas Don Rafael. The Manager, Brigette , was a pleasure to deal with. She sorted out everything for us. She is a true professional with a very pleasant personality. 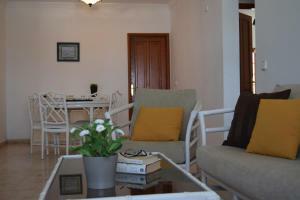 All the staff of Villas Don Rafael were friendly and pleasant. All the staff were top class. Property ideal for young families you can lock your gate and there is a good secure fence around. Villa also includes alarm.We will be back. 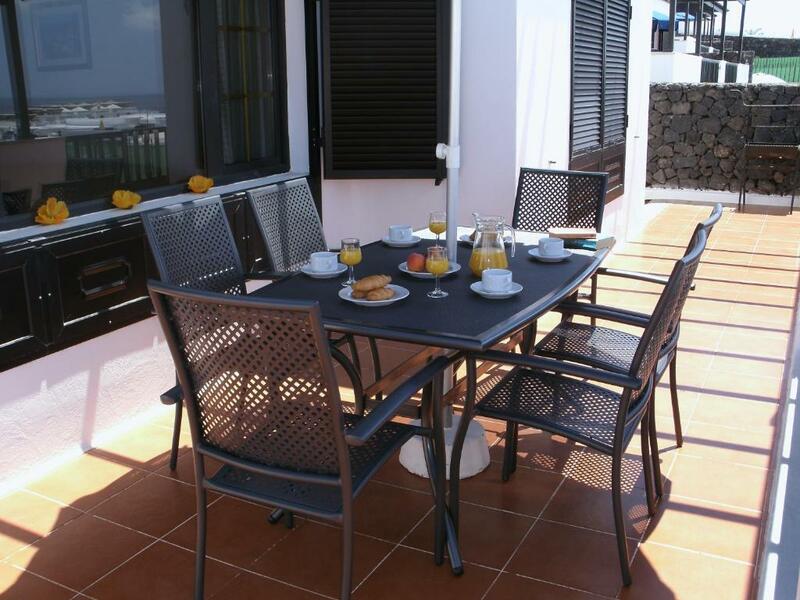 Lock in a great price for Villas Don Rafael – rated 9 by recent guests! 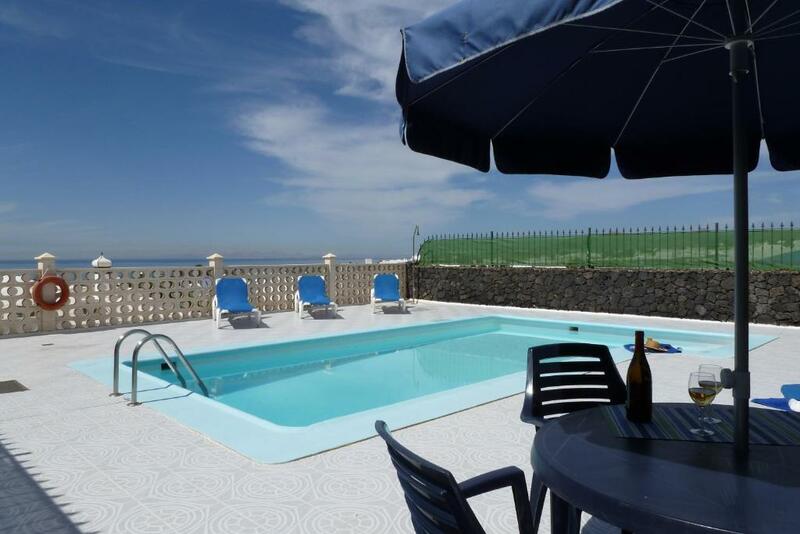 Set in a tranquil and central area of Puerto del Carmen, on the island of Lanzarote, this villa complex is the ideal place to enjoy a relaxing vacation with the family or as a couple. The Don Rafael Villas feature the whitewashed design typical of the island, and come with superb modern facilities. Relax and sunbathe in the grounds around the private swimming pool in these villas. You can also have barbecues on the private and secluded terraces of each villa. 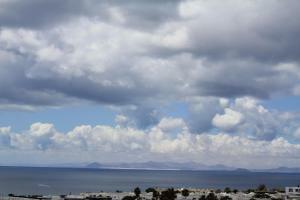 The villas also enjoy great views of the sea. Make use of free Wi-Fi to chat with friends and to search for tourist information. The Don Rafael complex is set surrounded by great supermarkets, restaurants and stores, and is just a short walk from the coast’s fantastic beaches. If you have a car, you can visit Timanfaya National Park, situated on the west coast of the island. You can also head to the nearby, modern golf course. 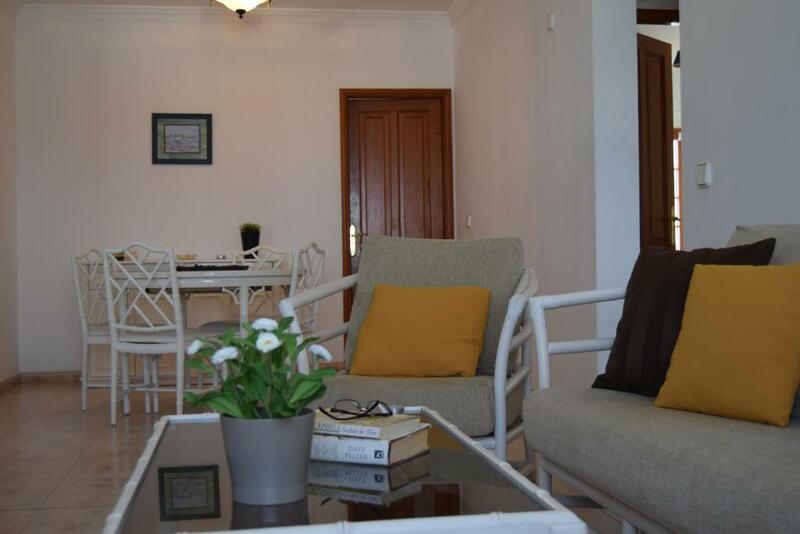 When would you like to stay at Villas Don Rafael? 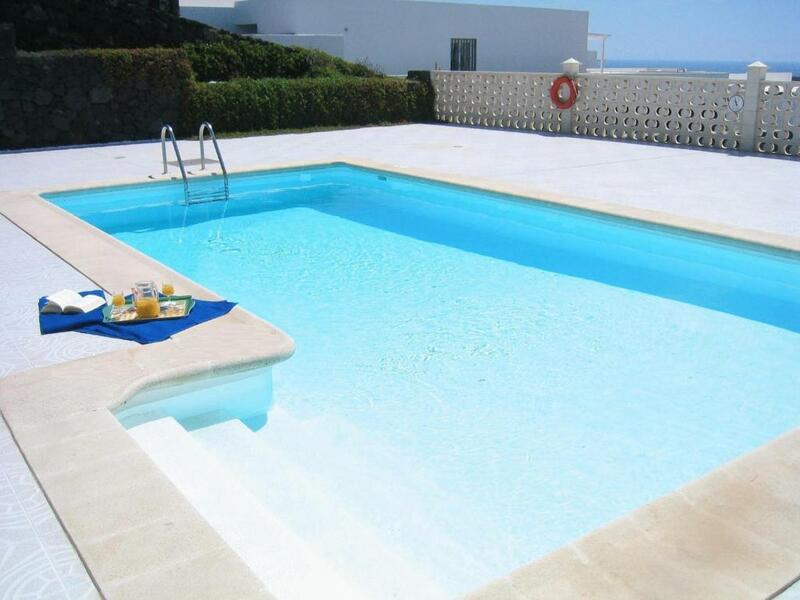 This exclusive villa features a private pool, terrace with BBQ and scenic sea views. 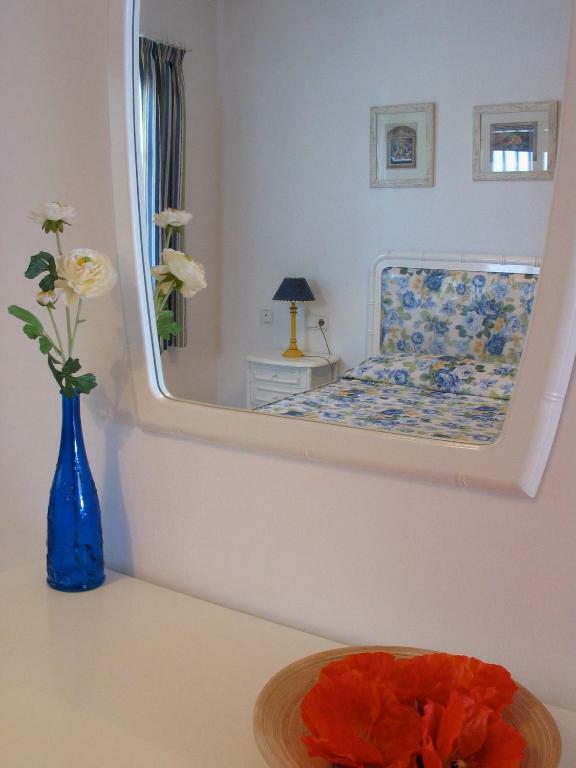 It has 3 double bedrooms and is just 492 feet from the shopping area and a few minutes- walk from the beach. Free Wi-Fi is also included. Villas for a relaxing holidays. Party and loud music are not welcome. House Rules Villas Don Rafael takes special requests – add in the next step! Villas Don Rafael accepts these cards and reserves the right to temporarily hold an amount prior to arrival. Please contact the hotel in advance to confirm your time of arrival. The hotel reception is open from 09:30 to 13:30, but can be contacted at outside these times on the phone number which will appear on the Booking Confirmation issued by this site. Please inform Villas Don Rafael of your expected arrival time in advance. You can use the Special Requests box when booking, or contact the property directly using the contact details in your confirmation. There was just about enough tableware and the pool was slightly salty. The chairs outside did not have cushions. The lights inside were not very cozy, but I believe it is normal on Lanzarote. Having to wait for hot water, sometimes. Bridgette very pleasant and knowledgeable. Only a very small complaint, sofa could be comfier! Everything about the villa was as stated and good.. Nothing, amazing villa never had a complaint about it! No complaints. We will return again.